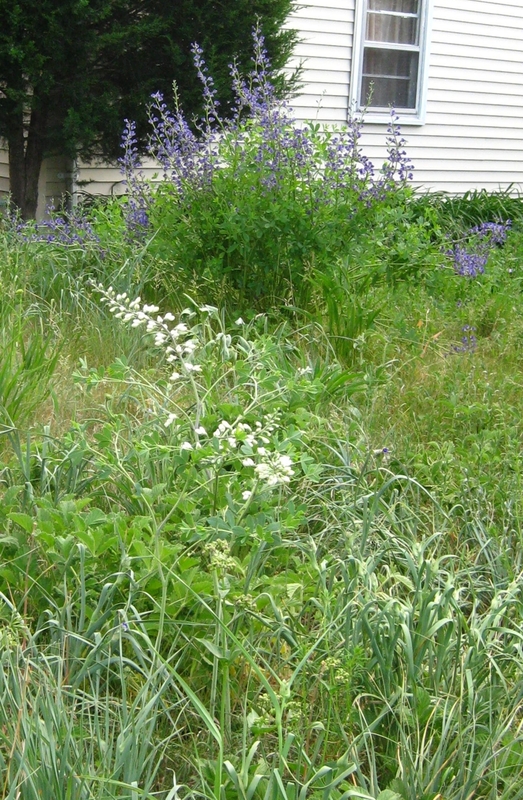 My prairie yard is growing fast with all of the warm weather. 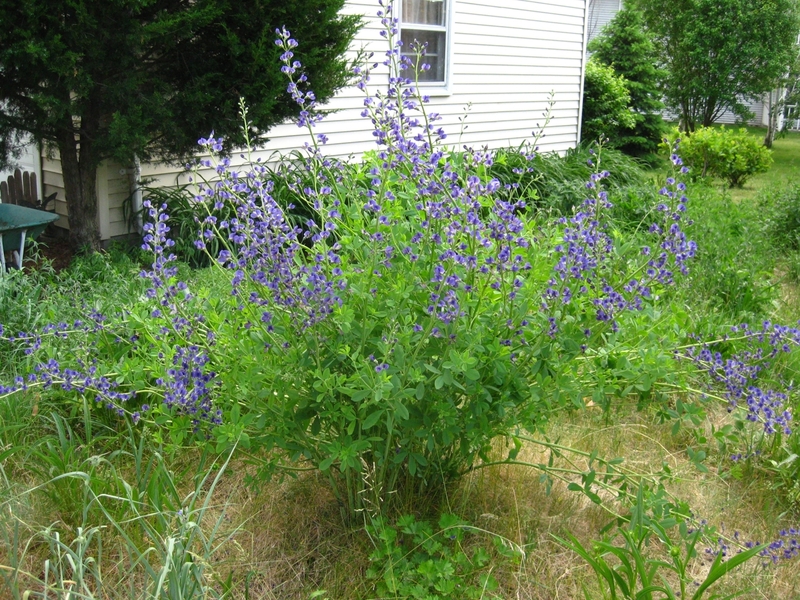 The blue wild indigo, Baptisia australis is in full bloom. The white wild indigo, Baptisia alba is coming in a close second. The cream indigos, Baptisia bracteata are finished blooming. The alien species such as dandelions were very few. But as usual many Chinese Elm sprouted and I weeded them out. Many clump forming grasses, non native took a strong hold this year—and I’ve been pulling them all spring. 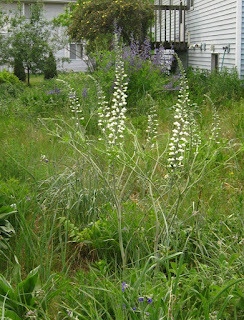 This white wild indigo is just starting to bloom; most of it is in bud form yet. It will soon be in its full blooming glory. 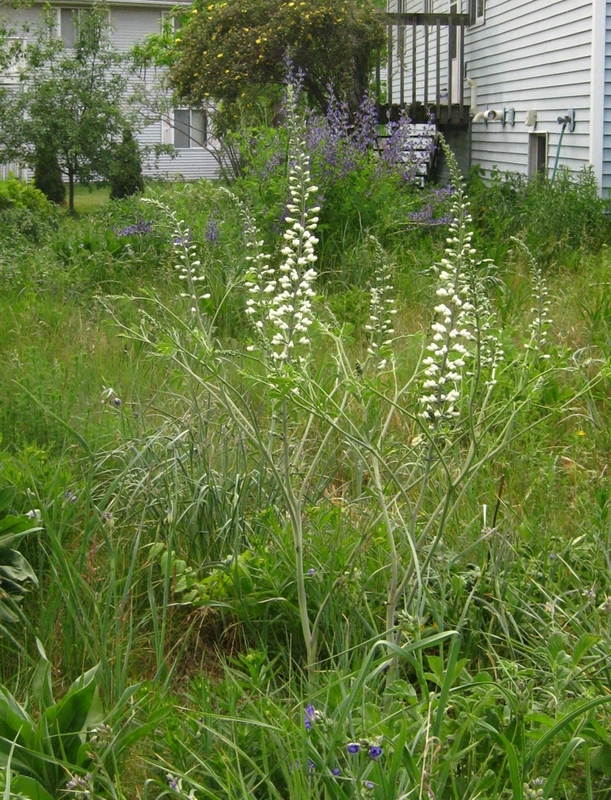 This white wild indigo is almost in full bloom. You can see her sister, the blue wild indigo in the background. There's a yellow climbing rose behind the blue wild indigo, beside my east porch that has been filled with yellow blossoms. Now just a few blossoms remain. My beloved non-natives such as the early tulips, crocuses, and hyacinth are finished blooming for the season. Most of the lilacs are finished too. The flowers have such a short life of glory. 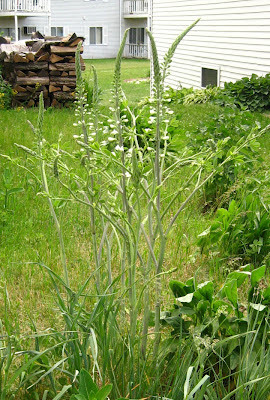 It seems one day they are blooming and the next the blooms are finished and they are making seeds. I don’t think that it is quite that quick; it just seems that way when I’m not paying attention. What are some of your favorite spring and early summer flowers? Do you prefer perennial or annual flowers? Shrubs, vines, or flowers? Some of all of them? What in the floral realm soothes your soul?